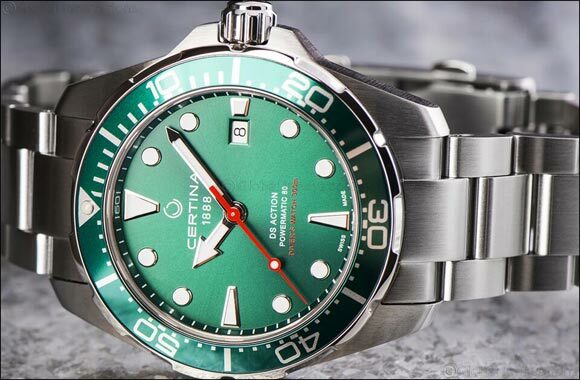 Dubai, UAE, May 08, 2018: Action and water inspire great sporting achievements, especially when CERTINA Double Security (DS) watchmaking joins in. The DS Action Diver has been reaffirming this for years now, continues to meet the stringent ISO 6425 standard for diving watches, with a water-resistance up to 300 meters and a highly innovative Powermatic 80 movement, and provides the same extreme timekeeping precision, in or out of water. The Certina DS Diver collection is priced at AED 3,080 and is available at Rivoli and Hour Choice stores across the UAE.